Planning a birthday party soon? We offer great deals on birthday party limos and buses along with many specials and package deals to choose from. Trying to find exciting ways to mark the milestone for yourself or others can be a difficult challenge, which is where bay area Birthday Party Limo steps in with a new and exciting way to mark the birthday celebration. It is always the same old birthday song with the same old birthday themes. How about we help you with something new this year? How about celebrating your special day in an stretch birthday limo? Major Limo’s Bay Area Birthday Limousine service is a premiere choice for birthday limo services. We have the vehicles, decor and extras that are fitting of the celebration at hand. We also offer a variety of amenities to maximize entertainment. For adults and children, we specialize in providing fun, safe, and entertaining limousine services. Let us make your birthday extra special. A birthday is always a special occasion, and it can be even more special with bay area Limousine transportation. 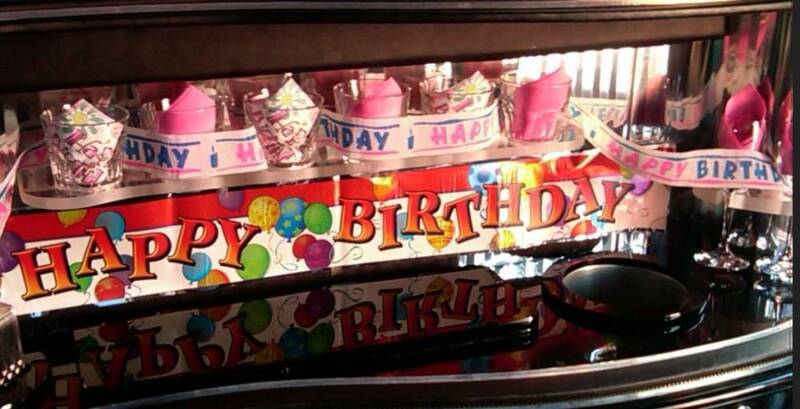 A birthday party limousine is a perfect gift for the special event in your life. Your private chauffeur will make your birthday celebration special with our signature VIP services. Your party limo guests will enjoy the wide array of limo amenities such as: Limousine interior mood lighting, state-of-the-art entertainment system, iced wet bar with glassware, plush seating, tinted windows and much more! Choose from our fleet of late-model stretch limos, extra stretch SUV party limos or party buses and don’t forget to ask about our current specials.